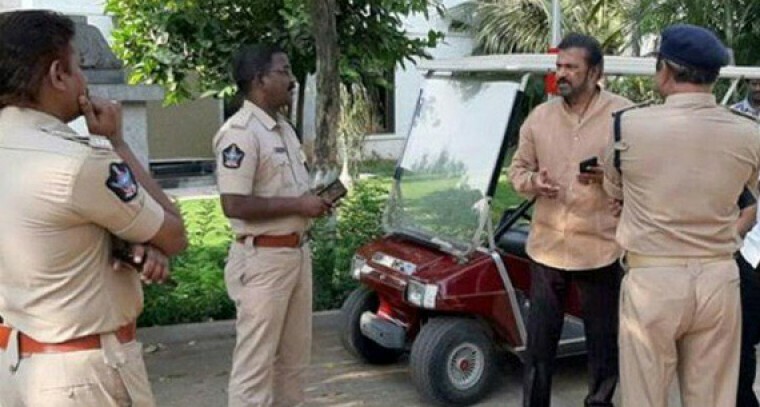 Tirupati: Tirupati police house arrested the Tollywood actor, Mohan Babu to hosting a rally against the TDP government . Nearly 10000 students have come forward to take a part in the rally along with the actor. The atmosphere has sparked outrage at the moment and the cops said that Mohan Babu will remain house arrested until the ambience turn out manageable. Mohan Babu announced just a few days back that he would host an effective rally in Tirupati along with Sree Vidyaniketan Engineering College students. The rally will be against the TDP government on the delay of students fee reimbursement. Sree Vidyaniketan Engineering College has been established in 1996 under the stewardship of Mohan Babu and he was seen concerned over non-payment issue of students fee reimbursement. He even bought the news to notice on his Twitter account that he would organize a peaceful rally. He also questioned the government for not paying the long-pending 19 crore amount.